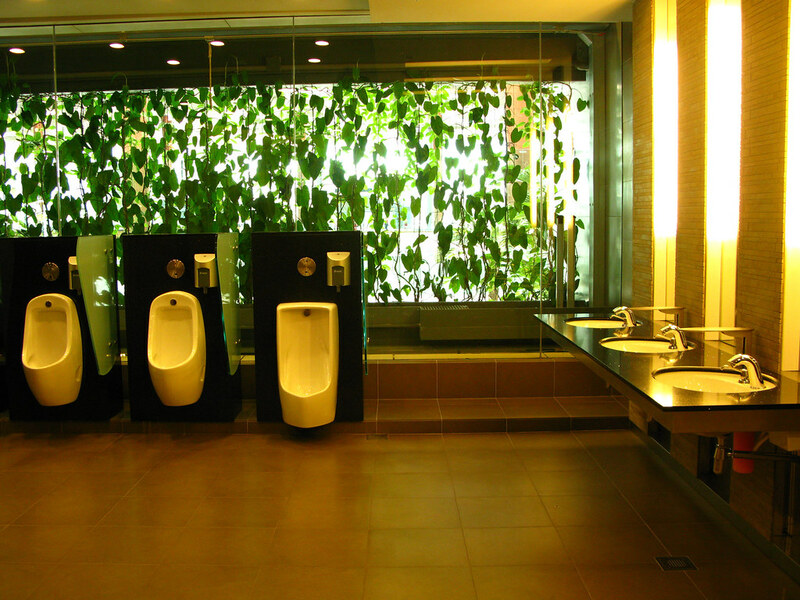 Opinion So many public toilets are a last resort – why not a restful refuge? OPINION: In the late 1980s our friends living on Sydney’s Palm Beach in the old Beacon Tea Rooms had no flushing toilet. One of them, a judge’s son and architect, used a galvanised bucket, which got picked up once a week. The other, a Czech émigré, used the public toilet block across the road. Interestingly this European preferred the government-cleaned facility to the basic but more personal alternative to carry out this most private domestic routine. This toilet block, like so many others, was not responding to its breathtaking location. Instead it was a sturdy brick bunker worthy of being an air raid shelter. There is a term in the Australian vernacular that refers to these structures: “built like a brick outhouse”. I’ve paraphrased slightly. The public toilet is where we all carry out a very private and undeniably basic human need. These facilities set the tone for public conduct and expectations. They are a built expression of our values. So what is the preoccupation with the bomb-proofing of this kind of vital public infrastructure? Is it expressing a perception of our fellow citizens and their expected behaviour? A study by Hazel Easthope of neighbourhood expectations in Sydney’s Green Square found that while 89% said they would help their neighbour, only 52% expected their neighbour to help them. That is an interesting bit of data, revealing an incongruent attitude: it’s not me – it’s them! After all, who is the public that ends up using these toilets? It is people like you and me and others like and unlike us. As such how do people respond to the need for privacy, for comfort, for a place to compose oneself, to refresh and groom? Are they a temporary refuge from being out there amongst them, in the public? Do I come out with a feeling of dignity and gratitude for the city after I’ve flushed? Warren Buffett said if you want to ensure the success of your brand you need to truly delight your customers. On my daily journeys through the city as an able-bodied, middle-aged male, the toilets that I use are neither delightful nor enchanting. At best they work and are bearable. They make me feel like I’m being begrudgingly accommodated, my need tolerated, rather than feeling delighted. Interestingly, public toilets are not unisex, like those we use at home, at friends’ houses or on aircraft. Is this a contributing factor in making them places for illicit activities and lending them a seedy feel? Even when we finally find one that is open – not an easy task at times – and made it in time to deal with this pressing need at the forefront of our mind, we generally find a space that is hardly the result of a masterclass in excellent design. Thankfully, there are some notable exceptions. Usually we find ourselves in one of the most economical layouts possible trimmed down to its absolute bare minimum – and, if lucky, with ventilation and light both working. Universal toilets introduced at least an element of spaciousness. Thanks to wheelchair users, you no longer need to hold your breath in a claustrophobically small space. However, there is often no provision for the things that we carry with us when we move through the city. If there is a hook on the back of the door, it’s often broken. Putting a bag on a public toilet floor or a wet sink surround does not appeal. But have you ever tried washing your hands with your bag hanging off your shoulder? Sure it can be done, but it is neither an easy nor enjoyable experience. You have to contort your body to make up for reaching forwards, bending and leaning into the sink to get your hands under the water, not to mention to get the tap activated or soap out of the dispenser. So I have to hang my bag over the retractable door closer arm. If only I could be sure the automated door is actually locked, because it can be hard to decipher what the tiny flashing lights actually indicate. How much harder it must be to use a public toilet while looking after children! Their cries would sound sweet and melodic compared to the acoustic assault from the air hand drier. Public toilets are on public land. When and how exactly did we decide that these conveniences have to be so inconvenient, and often downright unpleasant, to use? Singapore Airport shows what can be done. It has large spacious toilets, which are wonderful – they even have multiple hooks! A wheelie case can effortlessly be brought into the cubicle. These toilets are quiet, clean and smell good. 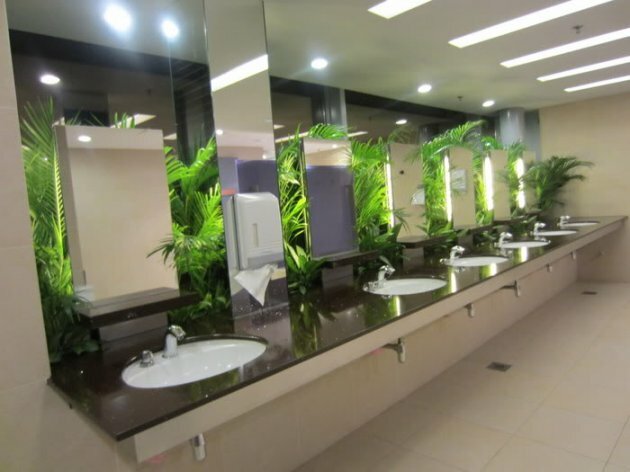 One can look at lush tropical gardens while using a urinal or washing hands. These toilets communicate to me that my needs are understood. They provide a place that makes me feel appreciated and supported, where I can recover for a moment, regain myself, feel dignified and emerge feeling fresher and less weary. They set the tone for public conduct. Toilets like this say, we respect and we appreciate you and we offer you this to make you feel better. As a result, I conduct myself accordingly and not begrudgingly. I leave delighted and deeply impressed by Singapore’s attitude towards its guests. Christian Tietz, Senior Lecturer in Industrial Design, UNSW.